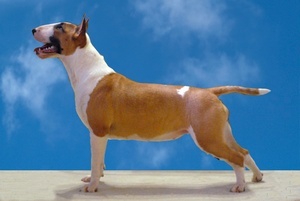 You can run drills all day long, day after day, and you will produce a hunting, obedience, agility or whatever other kind of dog you're interested in producing. It's not until you understand why you're running them and what effect they, and any subsequent corrections or praise, have on your dog that you start to really become a trainer. 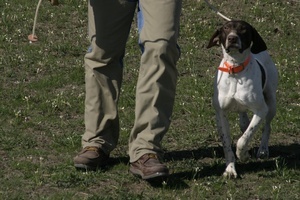 Plugging along from Point A to Point B and beyond will build a foundation for your hunting dog. It's vitally important that your dog have that foundation to build upon, and it's also one of the biggest problems amateurs have with training. We get excited to "get to the fun stuff" and skip all the small steps that teach a dog to correctly carry out that fun stuff. When someone says their dog doesn't do something correctly or only does X, Y or Z incorrectly, you can almost always bet that the issue was caused by glossing over or altogether skipping a step in their foundation. The field of genetics has progressed rapidly in recent years. Perhaps you’ve seen headlines about these top genetic topics in 2013. These stories show the importance of genetics and how it affects us as individuals and as a society. To understand the impact, though, one may need a review of Genetics 101: dominant vs. recessive disease traits. In order for our bodies to work properly, our DNA must be coded in specific sequences. DNA sequences are grouped into units called genes, which tell our bodies what to make to build cells and metabolize nutrients. We are all a unique combination of re-shuffled genes from previous generations. Everything from eye, hair and skin color, muscle, bone, etc. is coded by genes. A mutation in a gene usually causes something to change and many of these changes can lead to disease. There are thousands of genes, and in humans, thousands of genetic disorders that result from mutations. 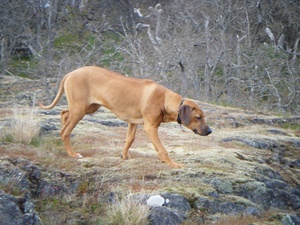 Large, muscular dogs, Rhodesian ridgebacks trace their ancestry to southern Africa, and it includes hunting dogs, guard dogs and semi-domesticated tribal dogs. The ridgeback is notorious for two things: first, as an athletic lion-hunting dog that could chase down and keep lions at bay until hunters showed up to make the kill, and second for the ridge of hair on their back that runs counter to the rest of the dog’s hair.